A friend told me that she successfully trapped a cat over the weekend, and Tree House’s BVDM Mac Lean Spay/Neuter Clinic informed her the cat was already microchipped and neutered last year. My friend lives a block from The Cell Phones Colony. This cat colony is much harder to TNR because of opposition from the main feeder and is an ongoing project. Last year I joined Tree House staff in that alley and we managed to trap some cats because we had the cooperation from the staff of the auto lot next to the colony. But the colony mostly hangs out on the main feeder’s property. He is an elderly man who feeds diligently so we could not get all of the cats because they were not hungry enough to go in the humane Tru-Catch traps. At one point the man became enraged and threw out a trap. He would not listen to us or agree to TNR. His family that also lived there tried to talk to him, but would not go against his wishes. There was another woman a few doors down who also fed the cats and disagreed with trapping and fixing them because she insisted we were not bringing the cats back. She wanted all of the cats there and for them to keep reproducing and catching the rats. The project was at a standstill. 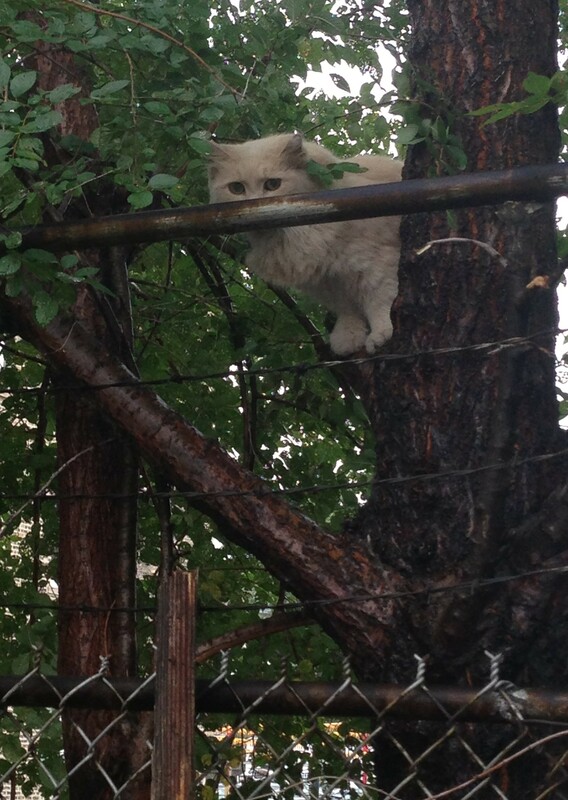 I’ve kept my eye on that alley ever since and when I was jogging through a month ago I saw what I thought was a dead kitten on the main feeder’s property. You can’t tell from the photo, but there’s a wrought iron gate in the way. 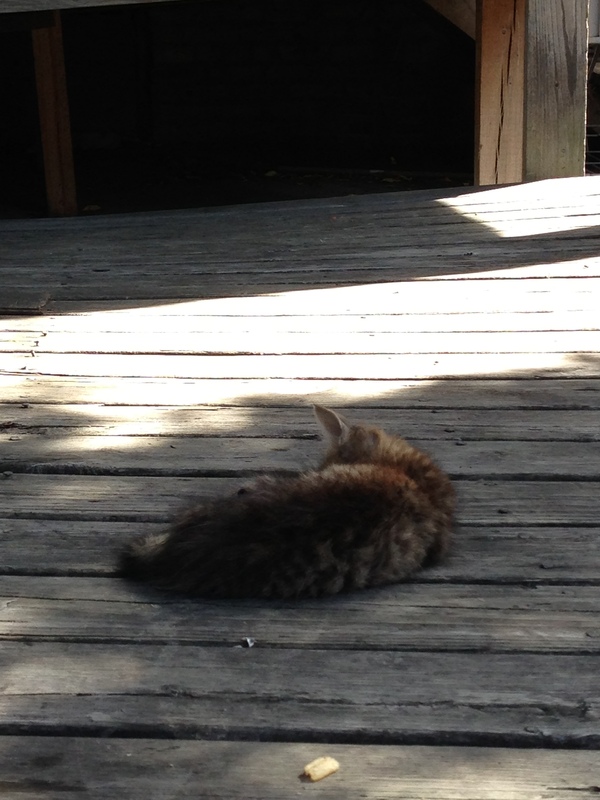 I threw a few stones to try to get the kitten’s attention, and it became obvious that he was sick. He was lethargic and did not react much to me. The auto lot next door told me there were other sick kittens besides this one, and they agreed again to have traps on their property. I spoke to another relative that lived at the main feeder’s property and it was the same scenario as last year – she agreed the cats needed help, and told me they even found a dead kitten that morning. But it ultimately was up to him. It was time to resume Trap-Neuter-Return there again regardless. I brought some traps the next night with two other friends who are experienced trappers and caregivers of TNR’d feral cat colonies. One of them lives a few blocks away. 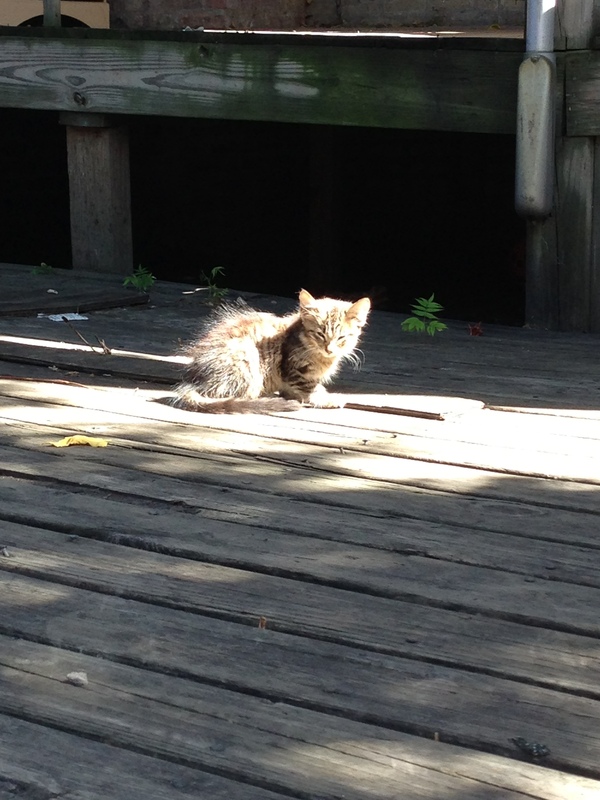 When I picked her up, we drove through her alley and came across some of her colony cats. When we went to The Cell Phones Colony and set up the traps, we were met with opposition from the same woman as last year, along with a few other men who were in a garage hanging out and playing cards. At first, communication was impossible, as they accused us of being “cat killers.” They did not believe we were going to bring the cats back. When the woman threatened to call the police, I told her she should as their behavior toward us was alarming and I wanted the police there. 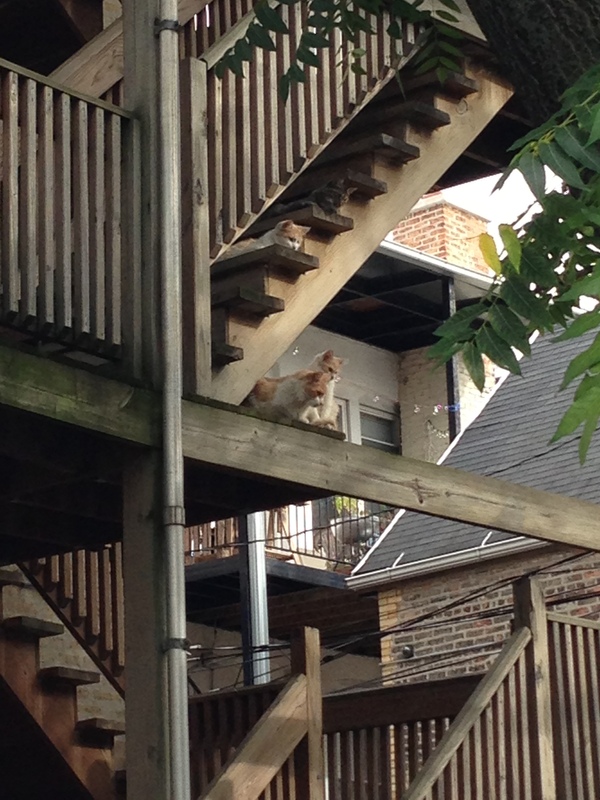 Free feeding outdoor cats in Chicago is illegal. TNR is not, as there is a Managed Care of Feral Cats Ordinance that protects these cats and the people who care for them. In the midst of this, we also trapped a cat with a trap we had already set up. The cat actually already had an ear tip, the universal sign that a cat has been TNR’d. We showed the people the ear tip, explained TNR again, and let the cat back out. They were starting to “get” it. We pushed even more and started showing them photos of our colony cats on our phones, and how we care for them. Being called a cat killer really hit a nerve with me and I think the people were starting to understand what we were trying to do. Nevertheless, we decided to leave because there was so much commotion already. The woman told us she also fed the cats around 5pm daily and we said we would be back later that week at that time. We went back to my friend’s alley and decided to try to TNR there instead. There are already 10 TNR’d cats there, so we accidentally trapped and released a half dozen, but we also trapped three intact cats. 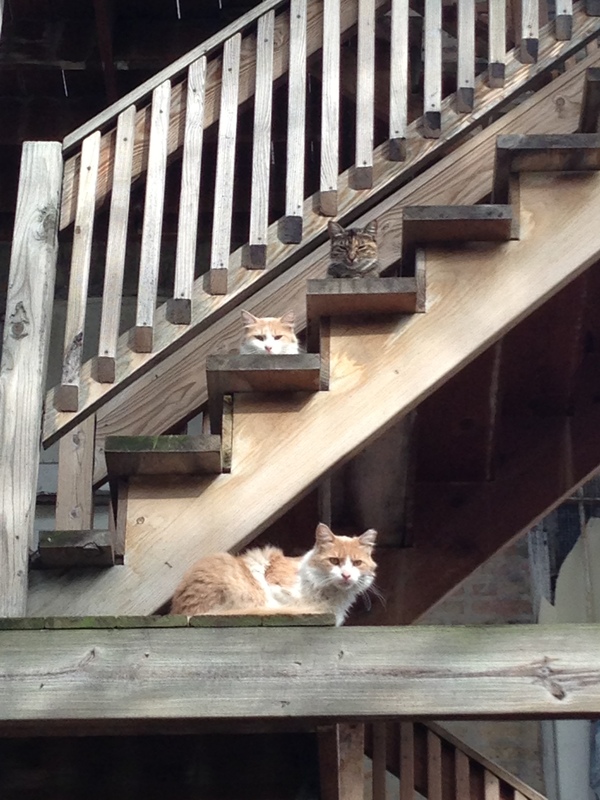 My friend took all three to PAWS Chicago’s Lurie Spay/Neuter Clinic to be TNR’d. When they were ready to be returned after their surgeries, we took all three cats in the traps back to The Cell Phones Colony alley first to show the people there the cats with their brand new ear tips. We showed them the medical paperwork detailing their surgeries and vaccinations. Now they were asking if we could come back and trap in their alley. 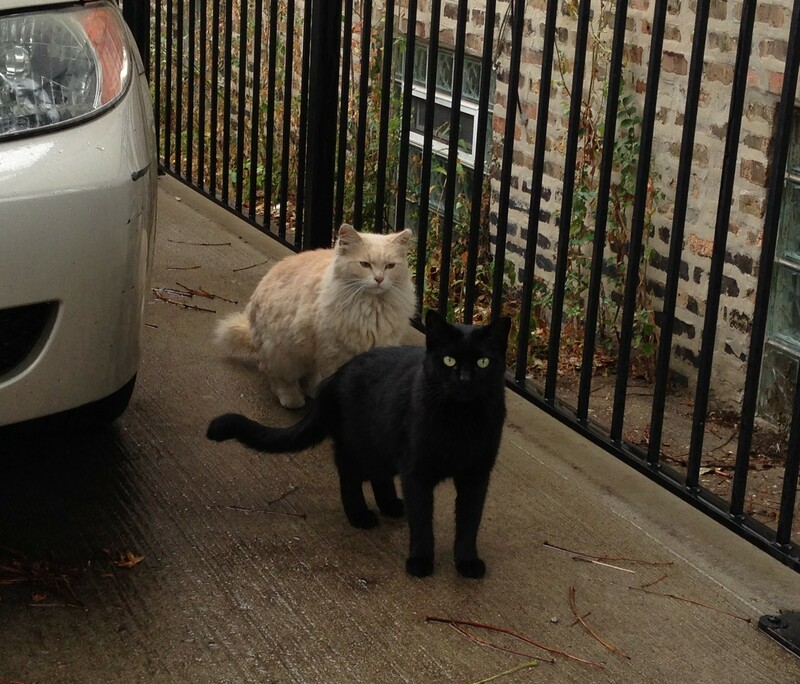 We returned all three cats back to their original alley. There was a bunch of kids hanging out there so we explained everything we were doing to them. We gave them fliers about TNR to give to their parents. One little girl, no more than four years old, told us about her new kitten that wasn’t eating. We asked her where it was and she took us into her home. There is never a dull moment with this TNR project. TNR requires community effort and cooperation. 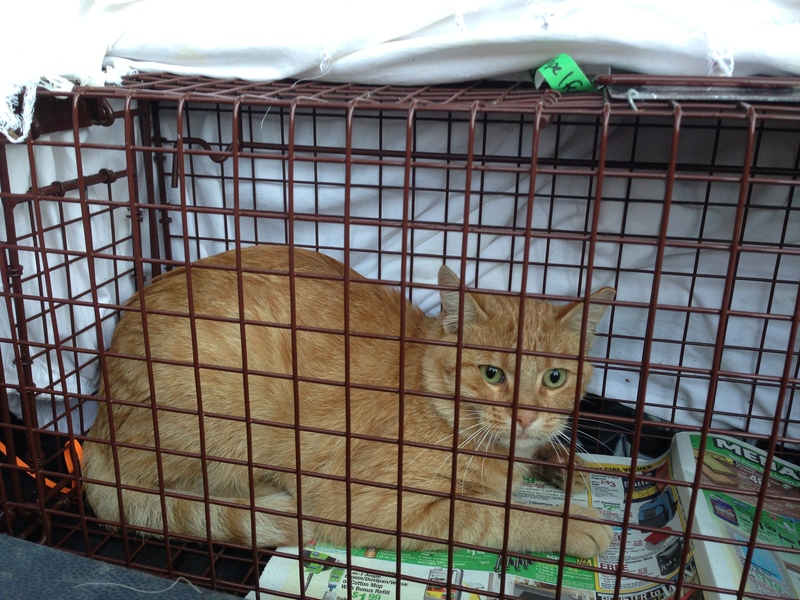 If you can get your neighbors on board with TNR, it will be much easier to help the cats. The little girl actually had two kittens. One had some sort of bulge on its side, so we convinced her mother that it needed medical attention. The other kitten was maybe three weeks old and they did not have anything to feed it. We went to Petco to buy some kitten formula for them. Later that week we went back to The Cell Phones Colony alley to try to trap again. 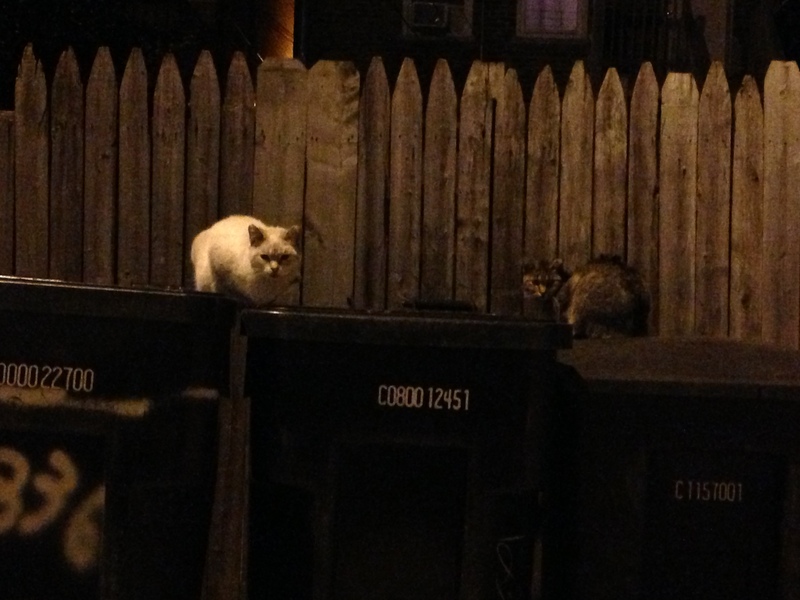 We saw some cats already TNR’d first. Then we saw some of the cats hanging out on the main feeder’s property. Unfortunately we did not see the sick tabby kitten anymore. This time the woman helped us! She did not feed the cats that day, and helped us bait the traps with their usual food, along with sardines in oil to try to entice them. What a turnaround! 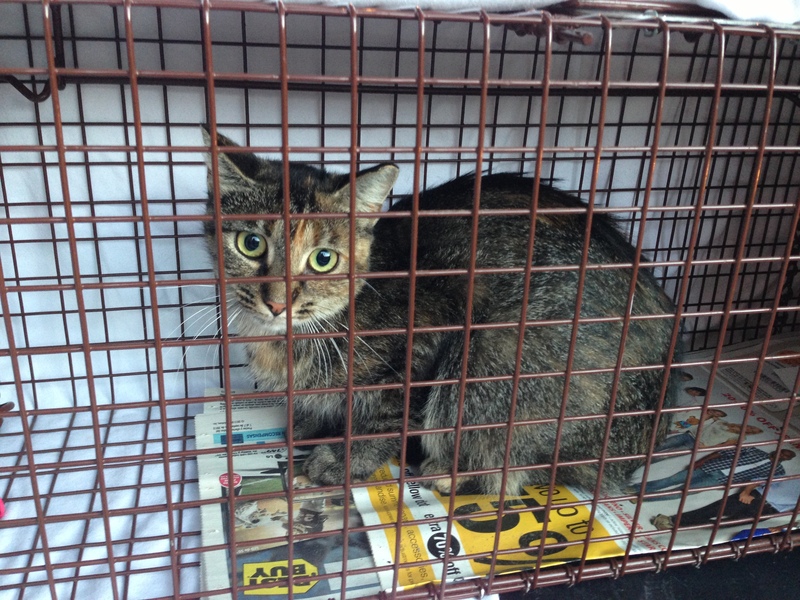 But because we still do not have the cooperation of the elderly man who is their main feeder, we managed to trap just two intact cats, a male and female pair who were also fixed and vaccinated at PAWS Chicago. The rest of the cats were not hungry enough to go in the traps or leave the property. They just watched us. After Baby Chocobo and Moon Pope were recovered from their spay/neuter surgeries, we showed the woman again when we returned them outside to their alley. This woman and her neighbors are now thanking us and trying to help. Unfortunately the elderly man who is the main feeder still will not listen, but we will keep trying. I’m hoping my friends in that area will also keep trapping.